MACY'S SALE: Black Friday Preview! Shop early! NORDSTROM: There are still a few options left in the HUNTER BOOTS SALE! Plus, see all the new markdowns HERE. TARGET: Save $10 when you spend $40 or more on clothes, shoes and more. Plus tons of early deals. WAYFAIR: BLACK FRIDAY DEALS UP TO 80% OFF! SHOP NOW! OLD NAVY: 50% off all sweaters! 40% off your entire purchase! GAP: 50% off everything with code GIFT plus an extra 10% off with code PLUS10. CARDHOLDERS: 50% off everything with code CARDBF and an extra 10% with code PLUS10. POTTERY BARN: Early Black Friday deals! Use code HOLIDAY for 20% off your regular priced order plus free shipping. JCPENNEY: Early Black Friday Deals are rolling out! AMERICAN EAGLE: 40% off plus free shipping! BEST BUY: Huge savings on TVs!! Black Friday Deals released on Samsungs! NEW DEALS WILL BE ADDED FREQUENTLY THROUGHOUT THE DAY SO CHECK BACK OFTEN OR AT THE END OF THE DAY! Soooo adorable and selling out fast!!! $21.99 and great reviews! I've heard people rave about these jeggings so I'm giving them a try! Just scored a pair in black for under $12! They are on Lightning Deal so you better hurry!! The reviews are great too! Sometimes you need something between black jeans and black leggings so I'm hoping this is it! ;) Tons of colors available and the sizing is "one size fits all" so we'll see!! I have heard nothing but amazing things about this game!! And those reviews totally back it all up! 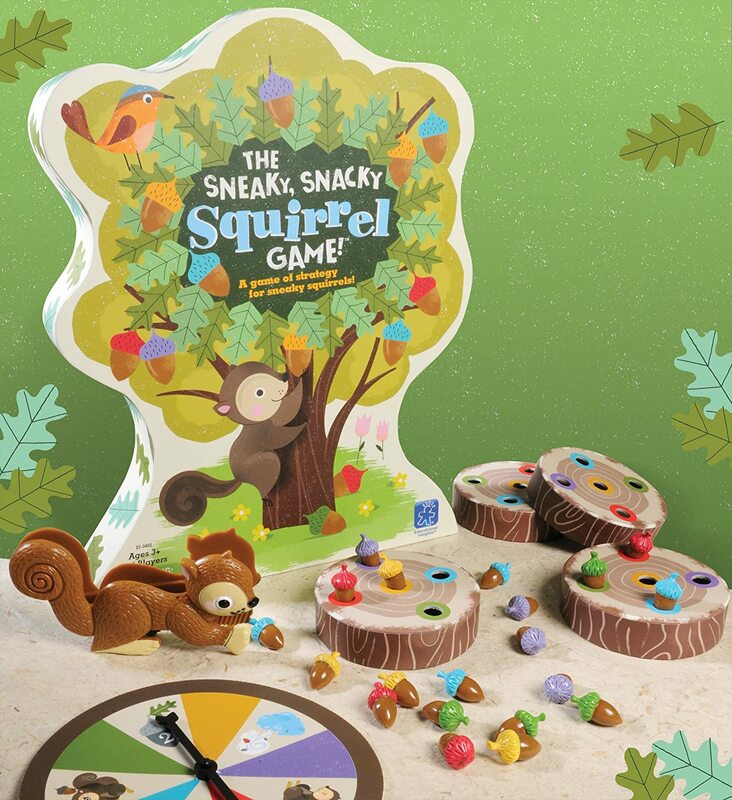 The Sneaky, Snacky Squirrel game is on sale for 50% off right now! Lightning deal on these cute bracelet sets! I've seen these in person on a friend and am so glad I just stumbled on to this deal! $8.99 and tons of colors available! They may not last FOREVER but they are cute if you are into stacking your bracelets! I'm grabbing that first set to test out but they are all so pretty!! The Fire HD 8 Kids Edition is on a HUGE deal right now!! Comes with a blue, pink or yellow kid-proof case and a ton of other features that I'll just let you go explore for yourself or we'll be here all day. If a new tablet is on your kids' wishlist, you need to check these out!!! The faux fur slippers are on sale for $20 and the bootie versions are $27 and those cute red/green plaid ones are only available in store but are also under $11. Tons of other great sale options going on right now as well! Shop all slippers HERE Shop the entire store HERE ALSO.... 20% off regular priced items and free shipping too with the code HOLIDAY. Can you ever have enough storage? 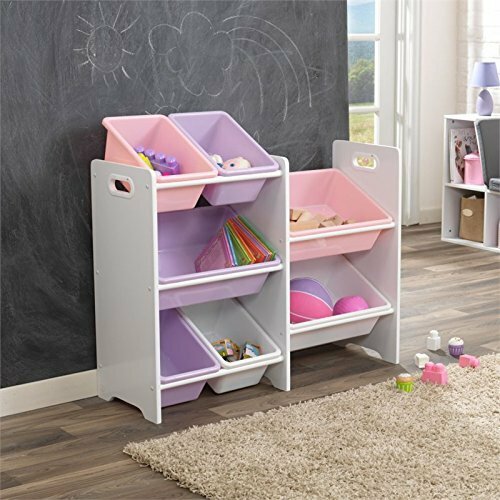 Lightning Deal on this storage unit for the next 55 minutes! Scarf madness!!! These are all only $9.99 and have amazing reviews!! Deals ends in 10 hours but colors are selling out! If you're looking for a hard-core cooler similar to the Yeti but without the giant price-tag, be sure to check out all of the Pelican brand coolers that are on Deal of the Day today! Lots of different sizes, styles and colors and on major markdown! 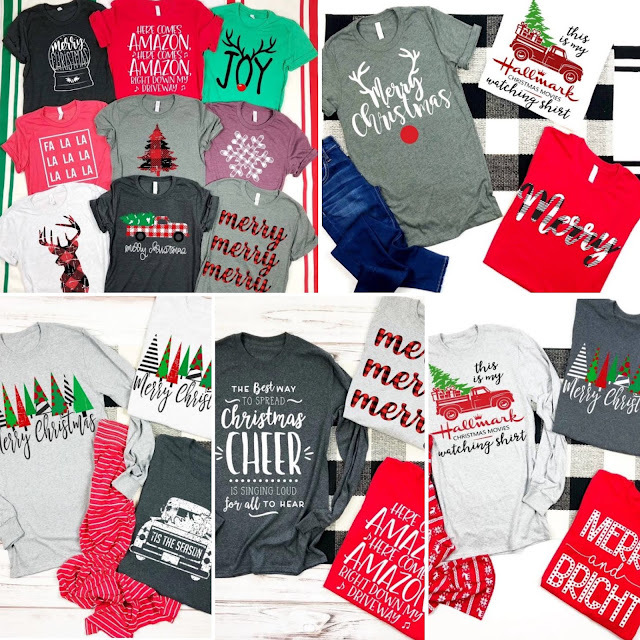 I have such a soft spot for Christmas tees!! Pair them with your jeans for running around town and then throw on those jammie pants with them when you get home! So cute either way! There are a TON on Jane right now and they are all so cute! I just got the dark grey with the red truck and tree last week so I'll try to snag a pic of it for you in a bit. SO cute and perfect quality. I'm never disappointed! See all your options HERE! There are way too many to show you individually. If you or your sweet daughter are into resolutions and bettering yourself in the new year, then you may love these! 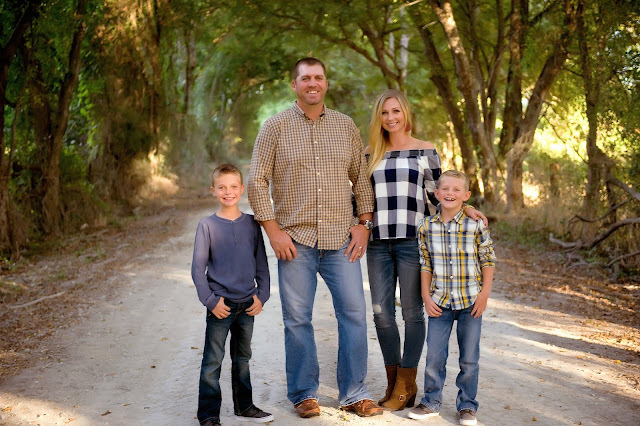 They are 52- Week Gratitude Finders where you can jot down the things you are grateful for and keep track of all your blessings throughout the year. There are prompts, Random Acts of Kindness sections and all sorts of fun stuff including cool stickers! I LOVE this idea so so much! These are on Jane today for only $11.95 and the seller has outstanding reviews and it is expected to ship within 24 hours. I mean, what a great Christmas gift for your little girl!! So sweet! Oh my word, how warm do these boots look?! They come in these three colors, are under $40 and you can wear them up or rolled down to show off your #bootswiththefur. Such a great alternative to those more expensive versions! This cute Melissa & Doug Christmas Tree Advent Calendar is a Deal of the Day today for $11! There are so many more great Melissa & Doug deals as part of the Deal of the Day as well! Like this map floor puzzle for only $7.14 and this adorable Daily Calendar for $11. UPDATE: I got this jacket in this week and I LOVE IT SO MUCH!! It is a total keeper. Crazy good price!! (ORIGINAL POST): If you're looking for a cute faux leather jacket, check this out! I saw it on my friend, Andrea (from the Momfessionals blog) and it's on sale right now for 40% off! This isn't a crazy expensive jacket to begin with so the 40% off drops it to around $50! Looks great with a scarf, jeans and booties or black pants and heels to dress it up. Best Buy's Deal of the Day is this 19" Insignia flatscreen for just $59.99!! !